Sichuan, China, July 24 – Li YIN, Governor of Sichuan Provincial People's Government met the delegates from Time Medical Systems at provincial government, and had a meeting to exchange opinions on Time Medical’s development plan in Sichuan Province. Professor Qiyuan Ma, CEO of Time Medical Systems said the company is planning to establish an operation centre in Chengdu as the base of training, service, distribution and logistics in the western parts of China. It will also provide support services to the products exported to countries and regions along Central Asia and Eastern Europe within Belt and Road Initiative framework. Utilizing Sichuan Province’s geographical advantages, Time Medical will set up a big data platform and an online remote diagnosis center in Sichuan Province. Governor Yin spoke highly of Time Medical in developing new domestic medical equipment, and welcomed ProfessorMa and his team’s visit to Sichuan. Governor Yin noted that healthcare industry is highly valued in Sichuan, and Time Medical’s development strategy matches the Province’s development direction of the industry. Officials from different departments including the Health and Family Planning commission of Sichuan Province, Science &Technology Department of Sichuan Province, Sichuan Provincial Investment Promotion Bureau, and Sichuan Association for Science and Technology also attended the meeting. 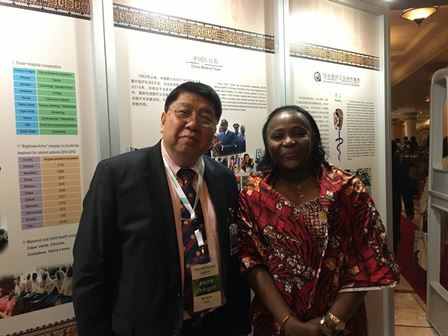 Time Medical delegates also met with Liangzhi Tang, Party Secretary of CPC Chengdu Committee while staying in Chengdu, and were invited to visit West China Hospital, Sichuan University and Jingrong Town, the town of innovation and entrepreneurship located at Pi County, Sichuan Province. Professor Qiyuan Ma, CEO of Time Medical Systems, was invited by the president of the Society for Brain Mapping and Therapeutics (SBMT) to attend their 13th Annual conference of SBMT / G20 BRAIN Initiative held in Miami, Florida on April 8-10, 2016. The main speakers of this conference included US congressmen, NASA officials and astronauts, the US Department of Defense and Navy officials, as well as Science and Technology officials and experts from Canada, Australia, Germany, Turkey, Malaysia, Russia, Israel, Nigeria, and others countries from around the globe. In the Neuro-Imaging session, Professor Ma presented on the topic of Improved Imaging using the novel technology of High Temperature Superconduction (HTS) developed by Time Medical Systems in the areas of basic, translational , pre-clinical and clinical research. Professor Ma hilighted the fact that the new 7T MRI scanner made by Time Medical Systems will push the limit of resolution in Neuro-Imaging towards the ultimate goal of non-invasively monitoring the in-vivo activity of single neurons, in the near-term future. In the Brain Initiatives session, Professor Ma focussed his talk on the economic and social burden, as well as the health care challenges that are due to the growing, aging population and the increased brain disorders seen in China. Professor Ma introduced some recent examples of new government healthcare reforms to the international audience. Currently, medical insurance nearly covers the whole population in China. 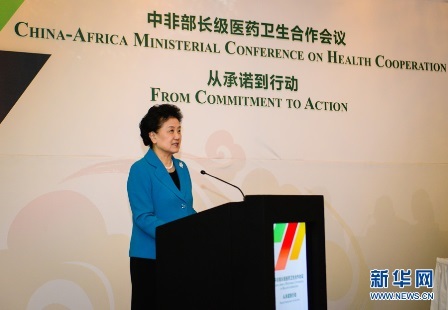 By the year of 2020 however, all rural and community clinic centers will be equipped with new medical equipment including diagnostic imaging services. At that time, it will be expected that all patients will benefit from the diagnostic imaging improvements and achieve earlier prevention of disease, especially earlier diagnosis and treatment of brain disorders. Finally, Professor Ma described the recent China Brain initiatives to the participants. He presented how brain researchers in universities and institutions, will contribute to the development of related industrial companies in China, as well as how enhanced future cooperation between China and related international organizations will advance Brain research in a more global manner. The Society for Brain Mapping and Therapeutics (SBMT) founded in 2004 is a non-profit society achieving its mission through facilitating multi-disciplinary collaborations, government agencies (USA, EU and Asia), foundations, and multi-national corporations to promote the interdisciplinary basic, translational and clinical research in central nervous system and improve the diagnosis, treatment and rehabilitation of patients afflicted with neurological disorders. It was also a participant of US Brain Initiatives and main promoter of brain G20 Conference. The SBMT Board members include officials of Canadian science and technology minister, NASA research director, etc, experts and predients or deans of universities and medical schools, as well as medical instiitions from 10 countries around the world. Hefei, Anhui province, China. – The Anhui Medical Imaging Equipment Industry Alliance was established today, the ceremony was held jointly with the Sino-American Imaging Technology Forum at the Crowne Plaza Hotel Hefei. The Alliance is the first provincial level medical imaging industry alliance, a joined effort by the University of Science and Technology of China, Anhui Medical University, Hefei University of Technology, Hefei Institute of Physical Science, Chinese Academy of Sciences, and Time Medical Systems (Anhui). The Alliance is a platform for collaboration for industry, academic, research, medical and political institutions, in order to promote the understanding of medical imaging throughout the province. CEO of Time Medical Systems was elected to be the Chairperson of the Alliance at the meeting. Provincial Government official representatives attended the meeting and delivered a congratulating speech on behalf of Anhui provincial government. Hundreds of Anhui provincial radiology society scholars attended the meeting. The Chairman of China Medical Equipment Association, Mr. Zilin Zhao, and the Chairman of the Chinese Modern Diagnostic Imaging Industry Innovation Strategic Alliance, Professor Jianping Dai, delivered their congratulations to the Alliance, and looking forward to see the innovative products from the development of the Alliance. During the Sino-American Imaging Technology Forum, Dr. Steven Dorros of UCSD Medical School and Dean Yongqiang Yu of Anhui Medical University delivered two sessions of speeches. Dr. Dorros delivered a topic on Spine MRI, and demonstrated hundreds of pathology on Time Medical Systems flagship MRI system, PICA. The spine images on PICA were excellent examples. Dean Yu delivered a topic on Multifunctional Drug Loaded Nanoparticles on MRI and Target Therapy Treatment. Professor Bensheng Qiu and Professor Kai Zhong from Chinese Academy of Sciences also delivered speeches. Initiated by the Chinese State Council, the nationwide event - “Mass Innovation and Entrepreneurship” took place during the week of October 19, 2015 at Zhongguancun, Beijing. Premier Li Keqiang opened the event with considerable fanfare and excitement to the HiTech community of China. There was high anticipation to see which 100 innovation projects were selected for recognition at the event. Time Medical Systems was the only medical equipment company chosen to demonstrate its innovative technologies and products – the High Temperature Superconducting (HTS) Receiver Coils for MRI, and the World-First dedicated Neonatal MRI System – NEONA. During the meeting, the Founder and Chairman of Time Medical Systems, Professor Qiyuan Ma, had the honor to directly present to Premier Li the interesting story of TM’s innovative MRI products. Premier Li acknowledged Professor Ma and encouraged the TM team to continue on the their path of innovation and to create more high-tech products for the benefit of the many patients around the globe. On October 21-22, 2015, Chinese Vice President Li Yuanchao, Vice Premier Liu Yandong, and Vice Premier Ma Kai, also visited Time Medical Systems’ exhibit at the event. The officials were delighted to see the innovative products and further encouraged the TM team to populate their new diagnostic imaging advances to the medical market. They expressed their wishes to see the innovative technologies brought by Time Medical Systems to serve, in part, as an important catalyst in the Healthcare Reform in China. The Time Medical exhibit was very popular and attracted throngs of interested attendees at the “Mass Innovation and Entrepreneurship” event. The audience was clearly attracted by the new technology and pleasant product designs, especially the NEONA, the only MRI System specifically dedicated for very sick and very small Neonatal patients. The unique design and innovation gave the Time Medical team considerable recognition and was also featured in CCTV prime time news. The Honorable Mrs. Fanny LAW FAN Chiu-fun, GBS, JP, chairperson of Board of Directors of The Hong Kong Science & Technology Parks Corporation and member of HKSAR Executive Council, paid a visit at Time Medical facility at Hong Kong Science Park. Accompanied by Time Medical's CEO, Professor QY Ma, Hon. Mrs. Law toured around the R&D Centre and received a presentation on Time Medical's vision and latest products. Hon. Mrs. Law emphasized the need of having strong presence of hi-tech companies that would benefit Hong Kong. Time Medical plans to establish a medical hub by developing more innovative products in Hong Kong. Hon. Mrs. Law echoed the vision. Accompanied by TM CEO Prof. Ma, Ministger Chen went through THS coil R&D center and Pica production facility. Dr. Chen highly praised HTS coil technology and cost-effective Pica MRI product. Officials from MoH and Jiangsu Province accompanied Dr. Chen's visit.